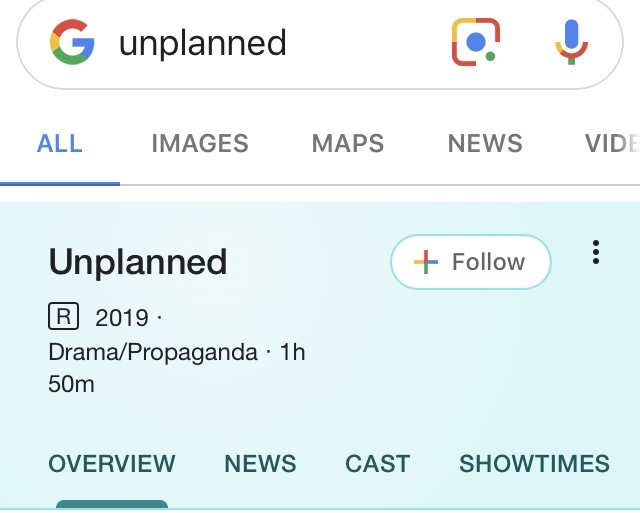 In yet another unbelievable attempt by the Left to suppress conservative values…left leaning Google has labeled the successful-despite-severe-censorship independent movie “Unplanned” as propaganda. 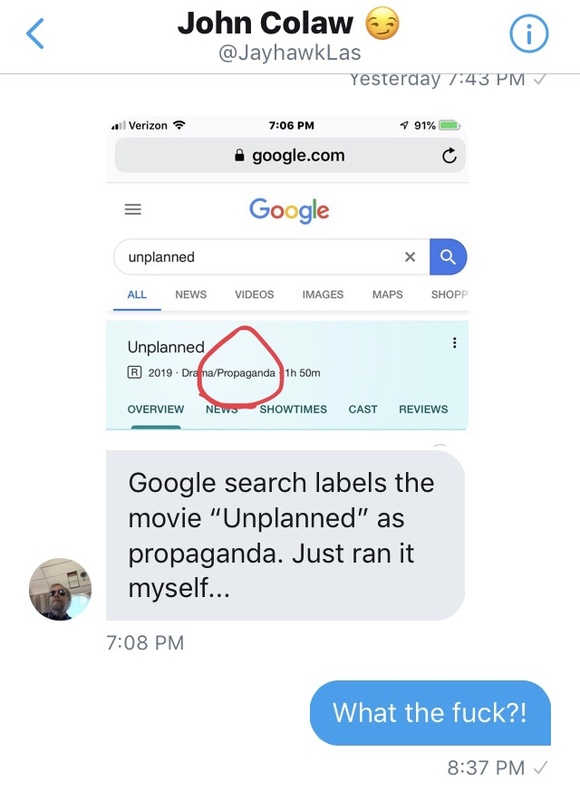 The depths that the Left will sink just to push the false narrative that an abortion is just a “clump of cells” (it’s not) then censor any attempt for people to know the truth (FOX was the only major network that would run ads for the film) then the film finds success with middle America and their values (it was the top 4th grossing film the week it premiered despite being an independent film that few would promote) it just speaks volumes. 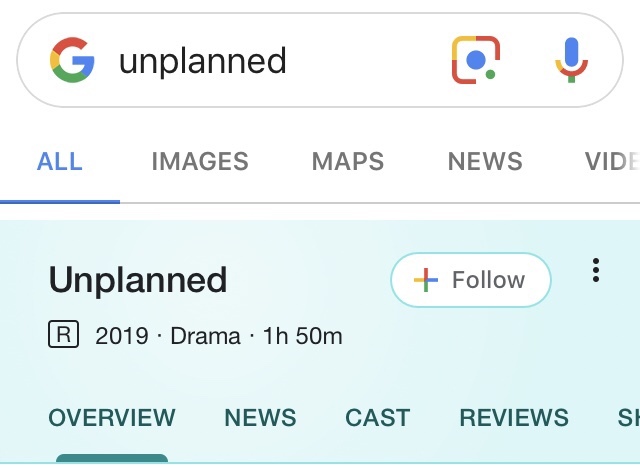 America is choosing life. 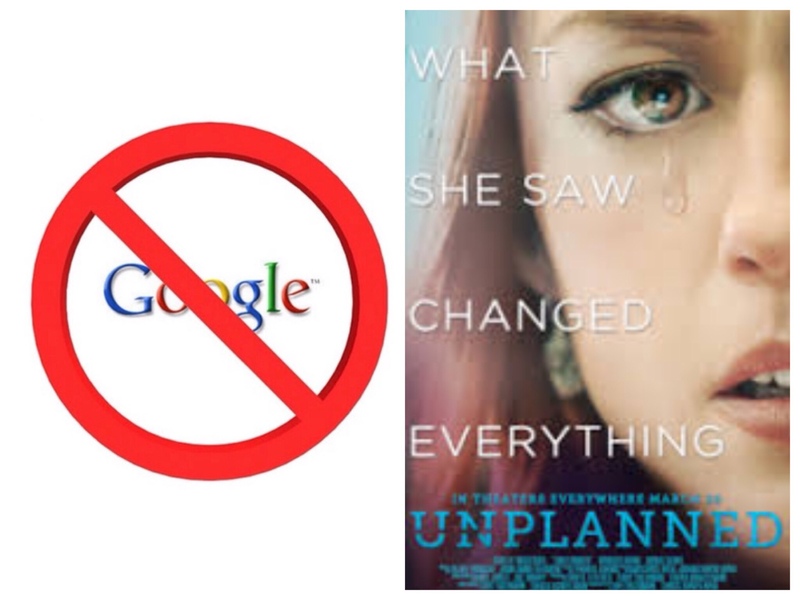 While the Left is pushing for late term abortion on demand and are demanding blatant infanticide…the right is pushing to protect the life of the unborn that has no voice of its own. The fact that Planned Parenthood demands tax money to stay open, while paying off Democrats to vote their way…while making $800 a pop killing babies and selling the parts for profit…says everything you need to know about that evil blood money machine right there. America has spoken. We want movies that speak to our values. Within less than 24 hours of writing this article, someone has gone back and corrected it back to simply “drama.” The Left can only get away with what we let them it seems.